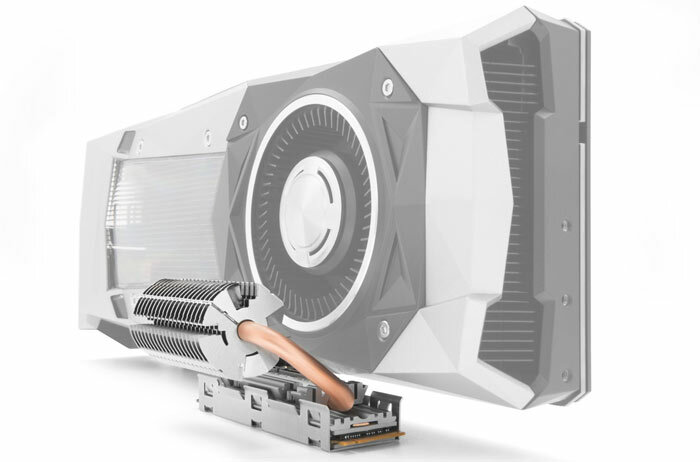 Cryorig has emailed HEXUS to tell us about two new PC cooling products it has lined up for exhibition at the upcoming Computex 2018 in Taipei (5th - 9th June). On show will be Cryorig's full range of coolers including a new version of the C7 (we saw the full copper Cryorig C7 Cu launched just a couple of weeks ago) and a completely new cooling product for M.2 NVMe SSDs. We have seen various motherboard manufacturers equip M.2 SSDs with heatsinks and similar, with varying degrees of practical success. 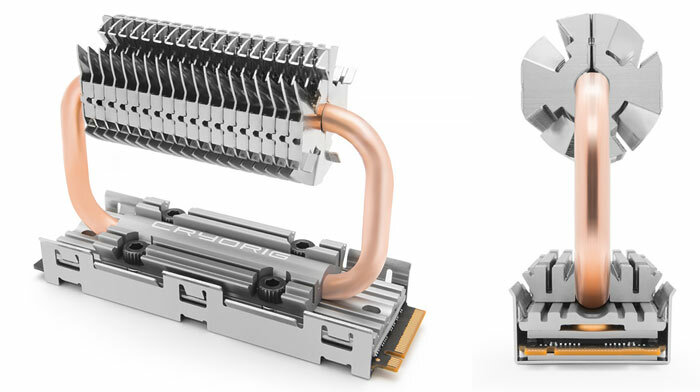 Now Cryorig has stepped to the fore to introduce what it calls the "industry's first dual heatpipe M.2 cooler," the Frostbit. The pictures tell you a lot about what you need to know about this cooler. As you can see it attaches to your SSD via a finned heatspreader connected to dual-stacked heatpipes. The heatpipes conduct warmth away from the heat source to a large surface area cylindrical heatsink. As some PC builds might not have much clearance above the M.2 slot, Cryorig has designed it to be swing-positionable away, see the example picture above. Cryorig has taken its popular C7 'ITX Cooler' and added some RGB jazz to be enjoyed by those who are so inclined. Added to the top-flow cooler there is an RGB lighting system built on standard 12v RGB LEDs and integrated in its 92mm PWM fan. To get the Cryorig C7 RGB up and running you just need to plug in the Fan RGB header into either a 12v RGB port on the mainboard or any 12v RGB lighting controller. 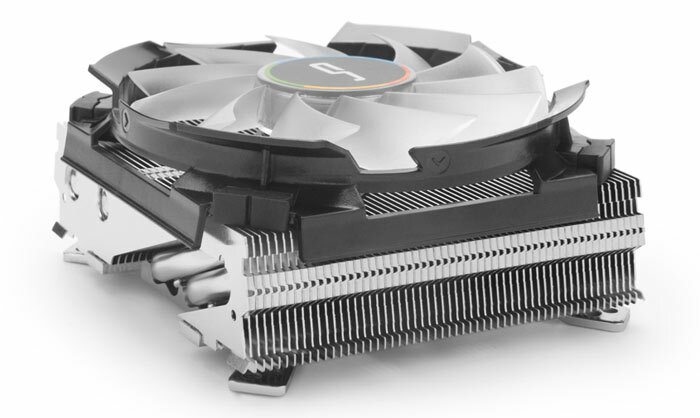 Cryorig asserts that it is "compatible with all major 12v RGB controllers and boards". 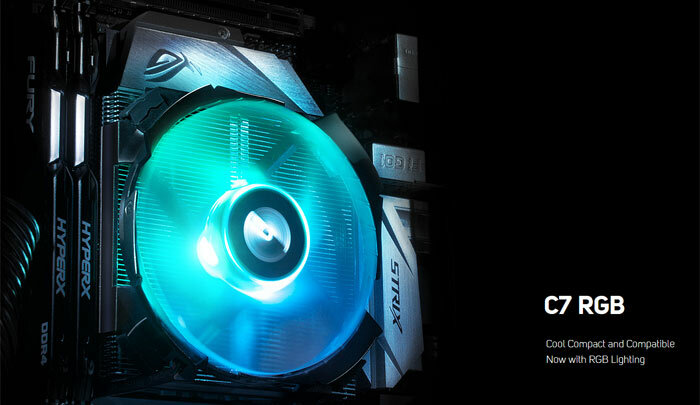 We look forward to hearing about availability and pricing for both the Cryorig Frostbit and C7 RGB next month. Do SSD's need to be cooled to that “degree”?